You’ve scoured the internet for information on web conferencing software. You’ve read hundreds of reviews and spent weeks or even months discussing the pros and cons of each platform. You’ve even signed up for a couple of free trials to test out the ones you like best. Finally, you’ve settled on the platform you think will work best for your business and you’ve signed up for it. You’re all set and ready for your first foray into online meetings and virtual collaboration. There’s one final hurdle you need to overcome. You need to get your staff to actually start using the platform. Otherwise, you’ve just spent a whole bunch of money for nothing. Right? 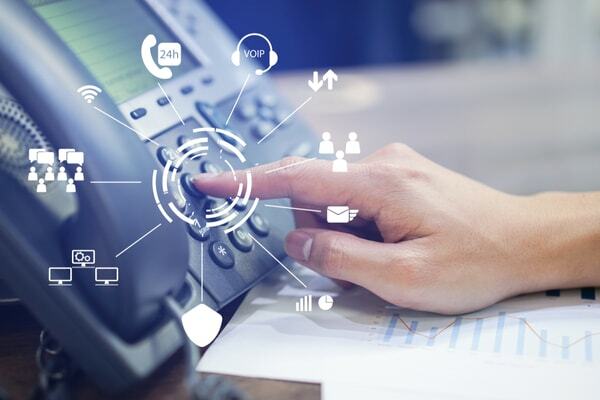 Fortunately, getting your staff to start using your brand spanking web conferencing platform shouldn’t prove too difficult if you take a strategic approach. People are much likelier to start using a new tool if they’re excited about it, and web conferencing is no exception. A great way to generate buzz is to get people on board as early on as possible. 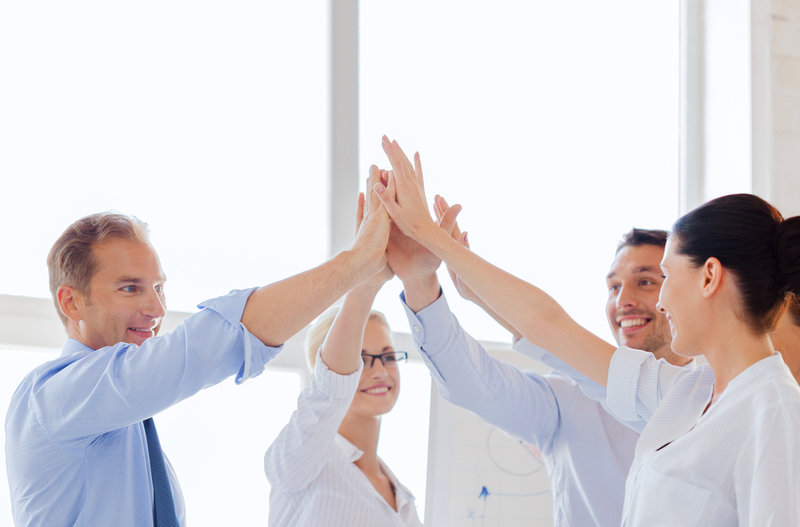 In fact, it’s a good idea to involve your staff during the selection process. Unfortunately, there’s a tendency - especially in larger organizations - to take decisions from the top down without involving those who will actually be directly affected by a decision. This is a problem, for two reasons. For one, it engenders a kind of resentment which makes people reluctant to get with the program. If your staff feels a web conferencing solution has been imposed on them, they’ll be inclined not to like it. This, in turn, will hurt its chances of being adopted. More importantly, however, you can’t have a complete picture of your web conferencing needs unless you get that information directly from the horse’s mouth. You need input from staff members who will actually be using the platform on a day-to-day basis. Getting people involved in the selection process ensures you get this crucial feedback right at the start, which sets you up for success. So you’re finally locked in on a web conferencing platform, and your key staff seems to be on board with it. But don’t get carried away just yet. 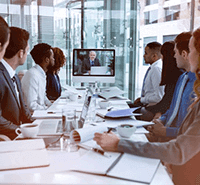 Web conferencing will radically change the way you do business. This will take some getting used to, especially if you’ve never owned web conferencing software before. It’s always better to introduce change incrementally, because this makes it all much easier to take in. In this spirit, it’s a good idea to deploy your web conferencing software in phases. Resist the temptation to launch it company-wide, and start with one or two teams or departments first. This will give your staff some time to test the waters. You’ll also get that all important initial feedback about how the software is faring in a practical setting. It’s not just how you do it. It’s also who you get to do it. In other words, the teams you choose to start with are just as important as starting out small. Start with the team or department that’s most likely to succeed. You’ll score an all important first win, and you’ll prove to the rest of your organization that the web conferencing platform you’ve chosen really works. As you probably know all too well, software providers tend to emphasize their product’s advanced features. There’s a rationale to this, of course. Very often, it’s the advanced features that set a web conferencing platform apart from the competition. Besides, let’s face it, bells and whistles are really impressive and may help justify a higher price of admission. Of course, this is not to say that advanced features aren’t useful. But if you’re not careful, they’ll get in the way of early adoption, because you’ll miss the wood for the trees. The key to successful uptake of any new tool is to take baby steps. This means focusing on the basic, bread and butter functions of your web conferencing software first. After all, these are the functions your staff will be using most. It’s also easier to start introducing more advanced features if your people already feel confident and know their way around the platform. Getting your staff to actually start using your new web conferencing platform might seem like a challenge, but it really isn’t if you approach it the right way. The key is to get people involved at the outset, and to score some all-important early wins. Once that’s out of the way, you’re well on your way to reaping the benefits of your new investment.